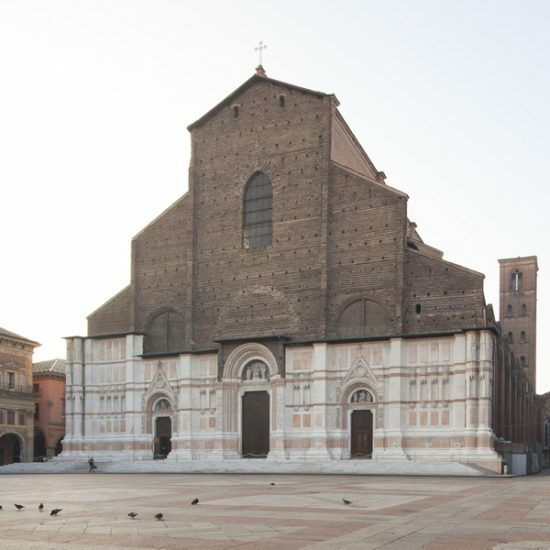 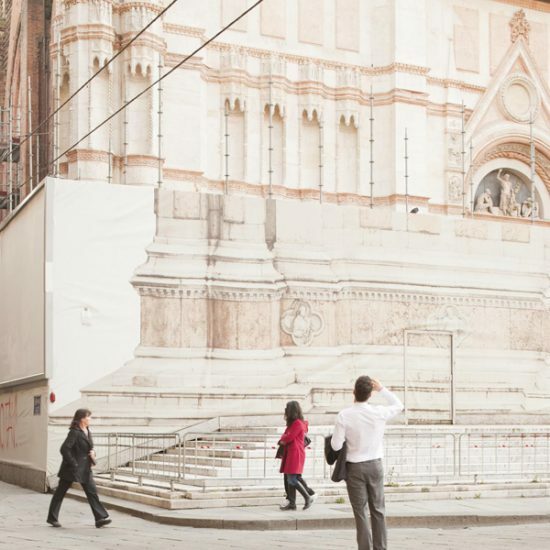 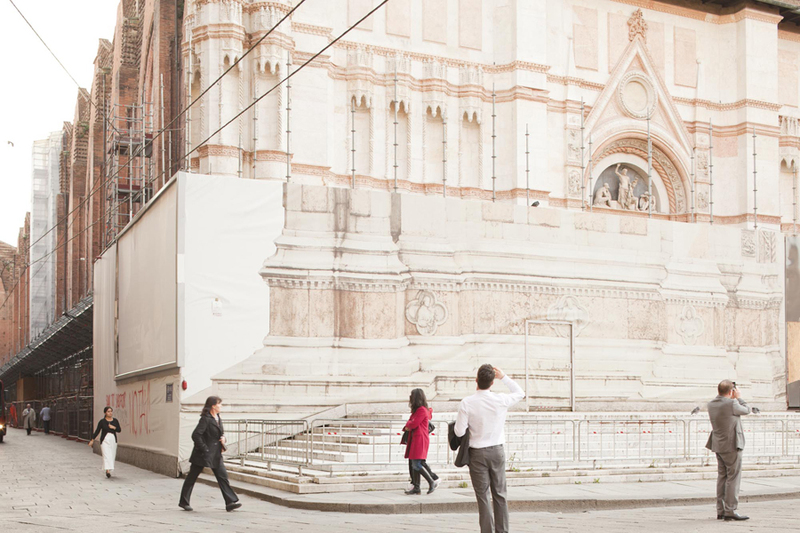 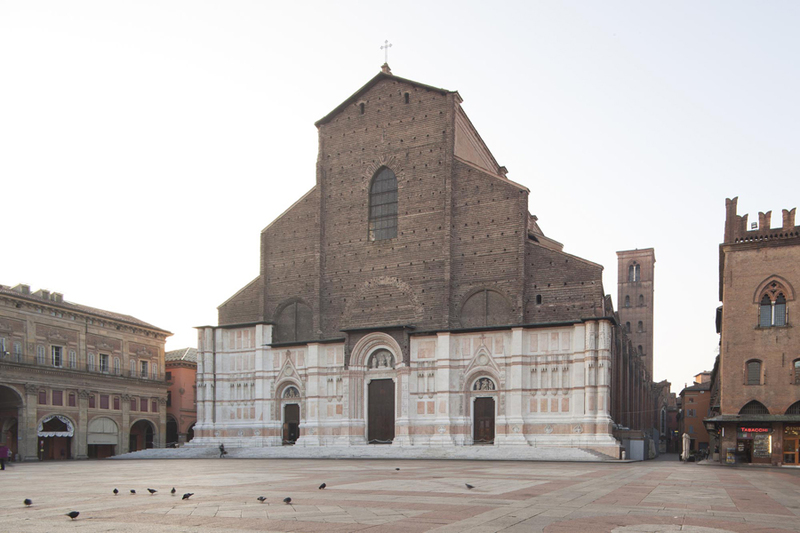 All the stone surfaces of the external facade of the Basilica of San Petronio were restored, as well as the sculptural decoration (pinnacles, statues, cornices, tiles, seats, trabeations) of the lower part. 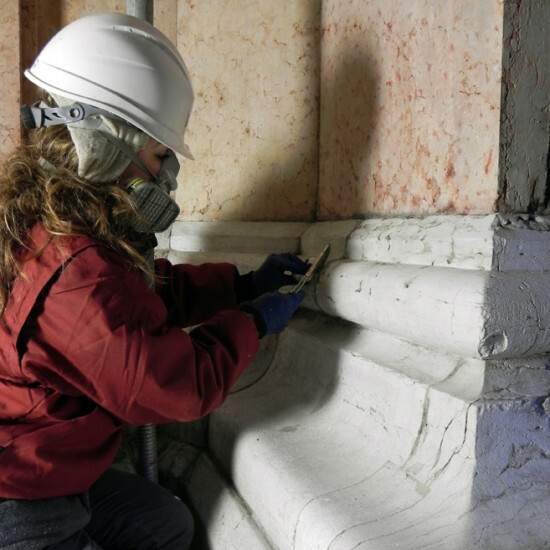 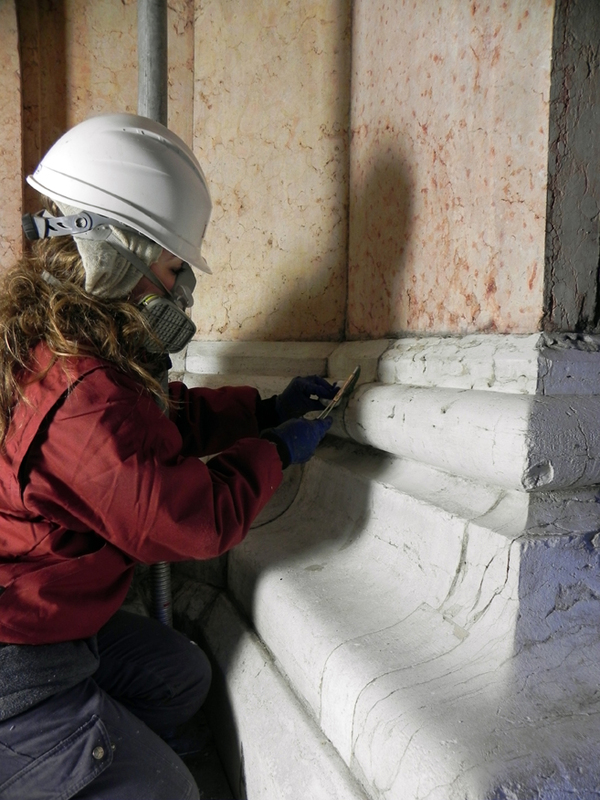 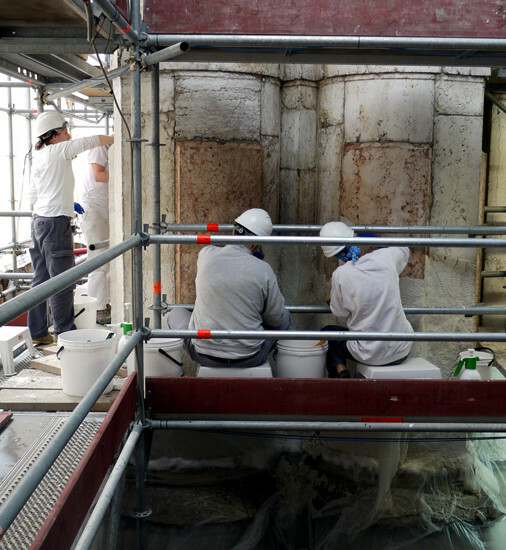 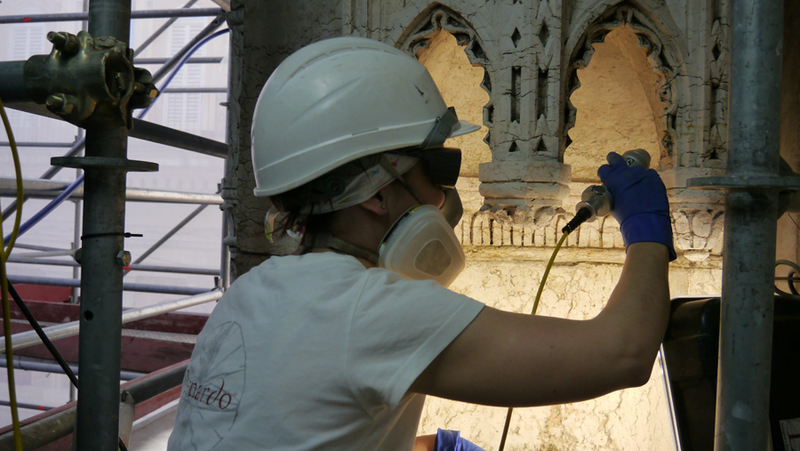 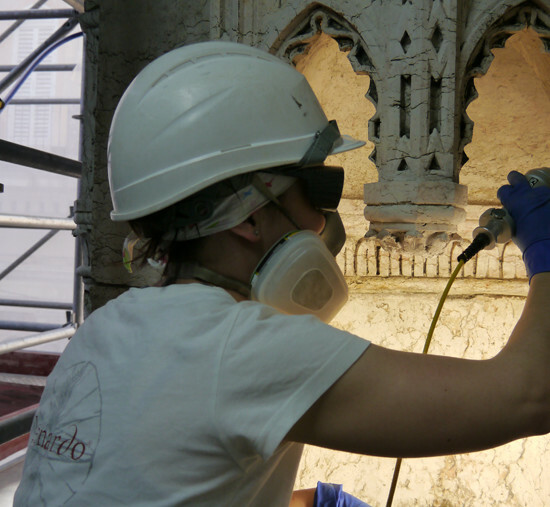 In the chapels, on the other hand, besides the restoration of the stone surfaces (sculptural furnishings, columns, roses, tiles) a making safe operation was carried out, dismounting and remounting an entire window (5.75 metres wide, 11.5 metres high) and, as a result, creating a restoration site of its own for the elements that were removed, before they were returned to their original location. 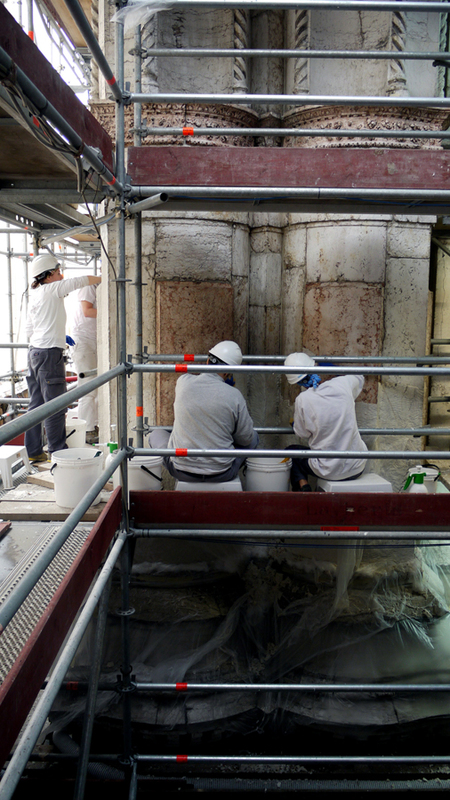 The restoration intervention was carried out by employing innovative technologies and following the protocol RESTAURO VERDE®(GREEN RESTORATION): this is a restoration process introduced by LEONARDO SRL (applying the LEED principles of protocol to the restoration, as directed by the Green Building Council with which it is associated) and it is applied to its own building sites with the objective of containing the environmental impact of the work and making energy saving choices. 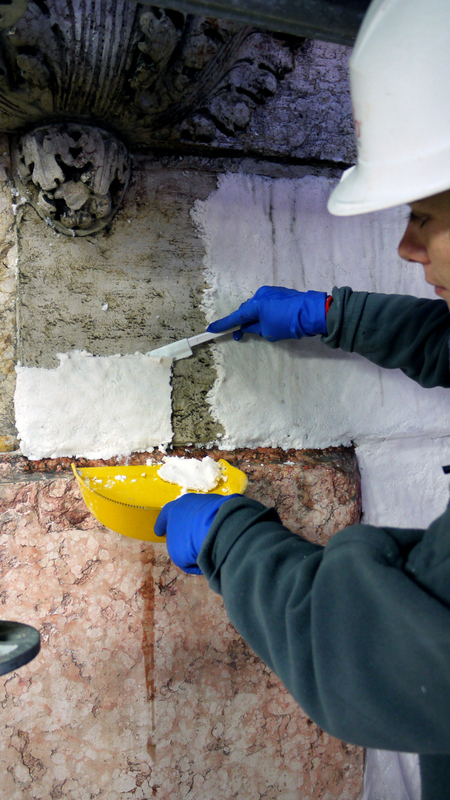 For the cleaning processes, for example, alternative products to chemical substances were used, among which was AGAR GEL which, using the ‘molecular sponge’ action of the gels that absorb the soluble substances from the surfaces of the materials, allow for the effective surface cleaning and removal/swelling up again of hydrous substances; in some cases the gels were added to chelate substances (tetrasodium EDTA). 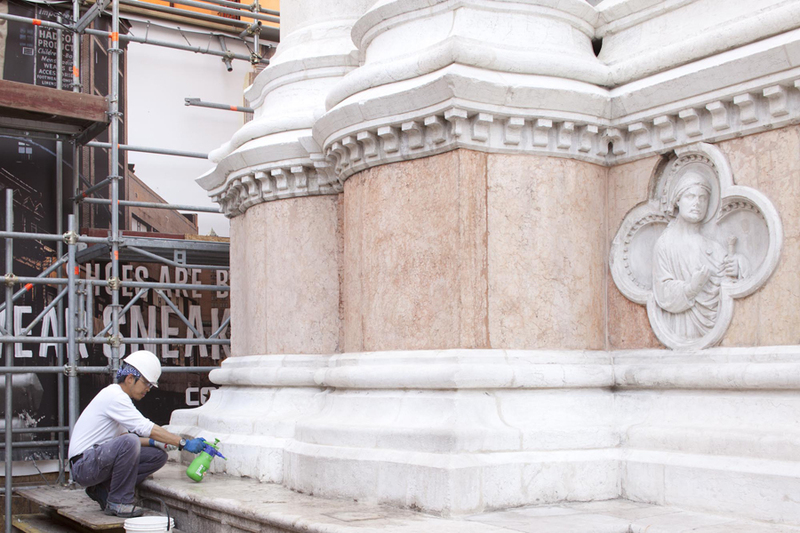 A further methodology was performed by CLEANING WITH SULFATE-REDUCING BACTERIA. 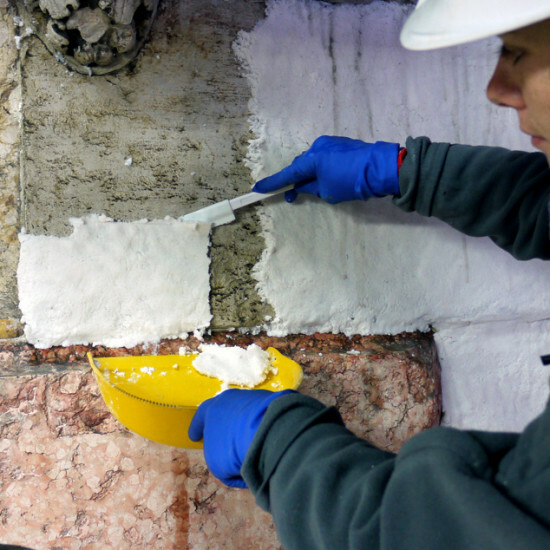 This involves using micro-organisms for the selective removal of chemical alterations particularly effective in the removal of black crusts and so they constitute a valid alternative to the use of chemical substances, whether for their non-toxicity or for their eco-friendliness. 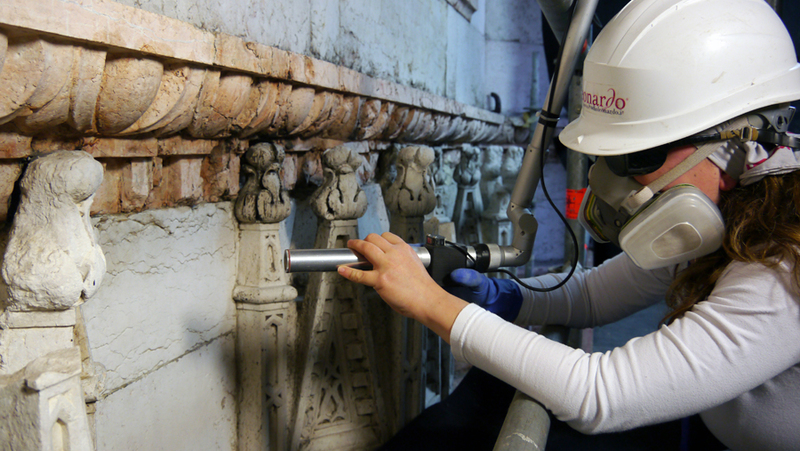 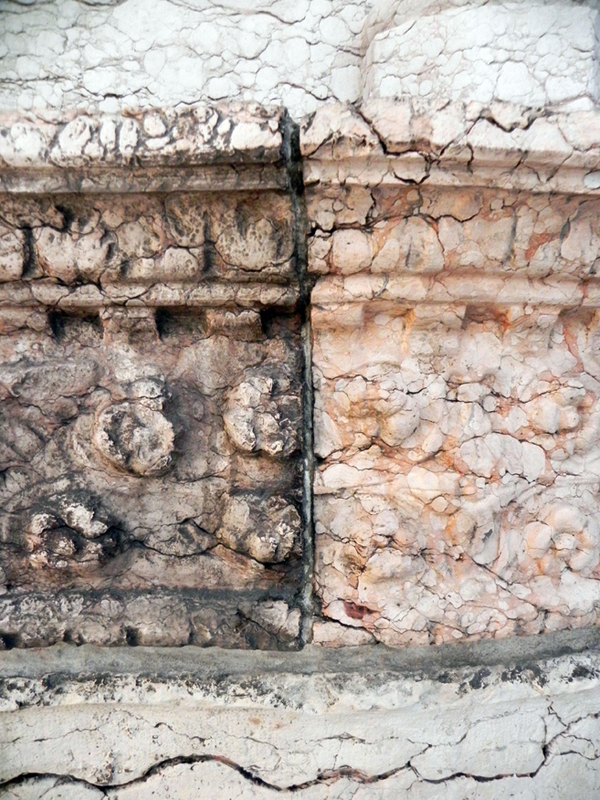 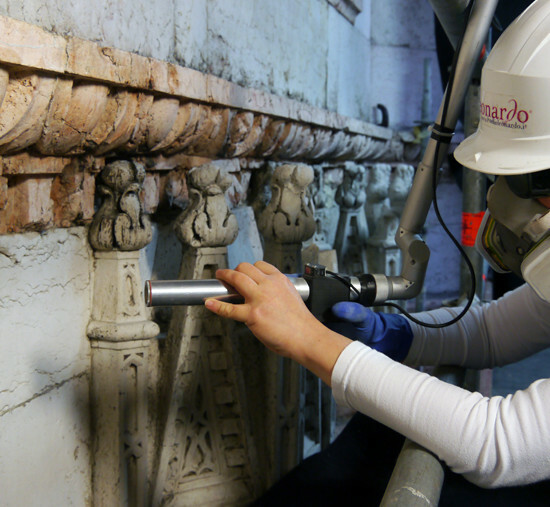 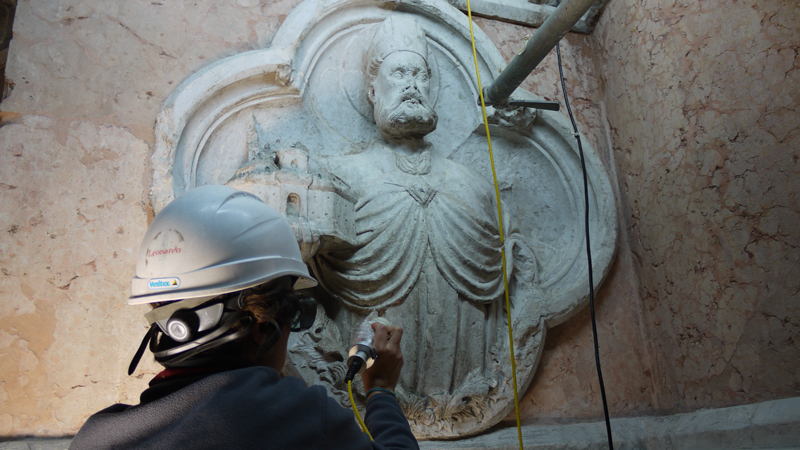 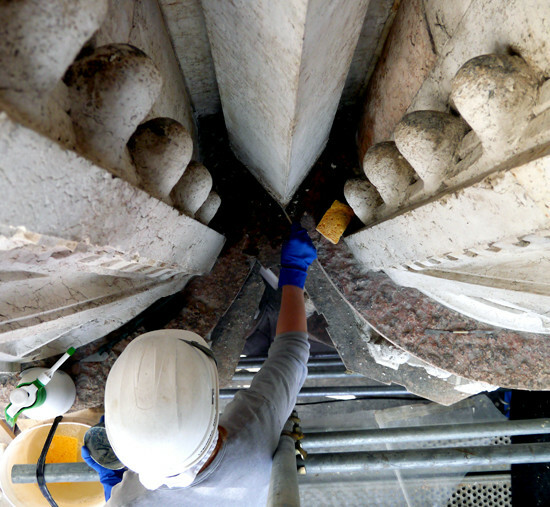 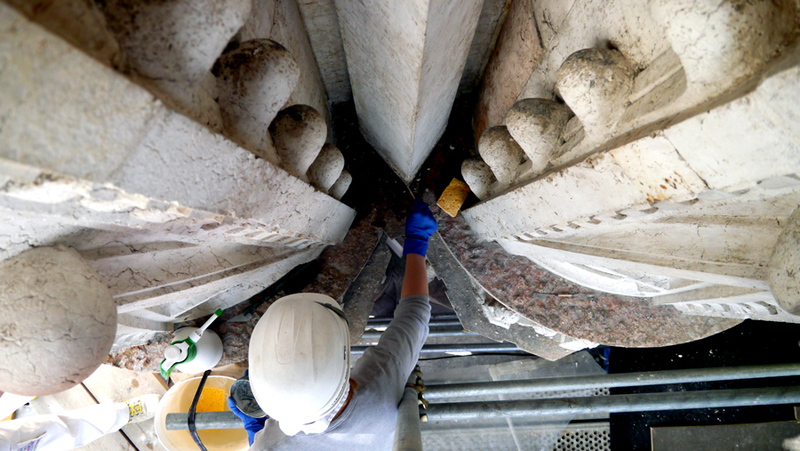 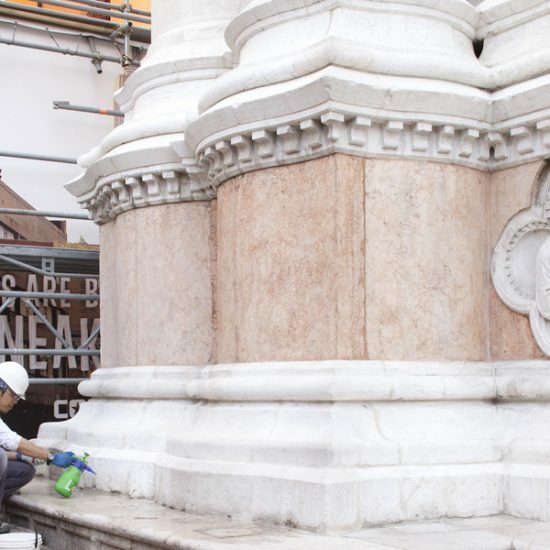 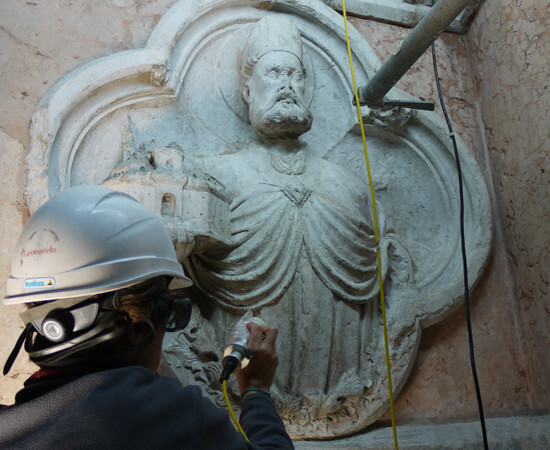 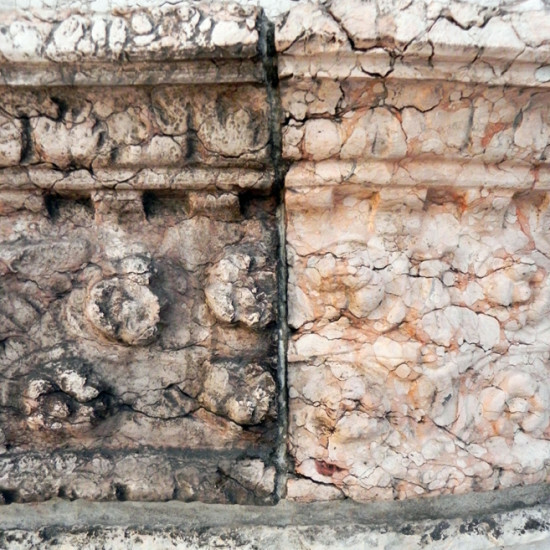 The cleaning of the sculptural furnishings was also carried out by a LASER SYSTEM: three laser sites were set up, working on the different areas with the objective of removing badly-adhering deposits without calling for mechanical assistance and thereby safeguarding the original stone slab sections.